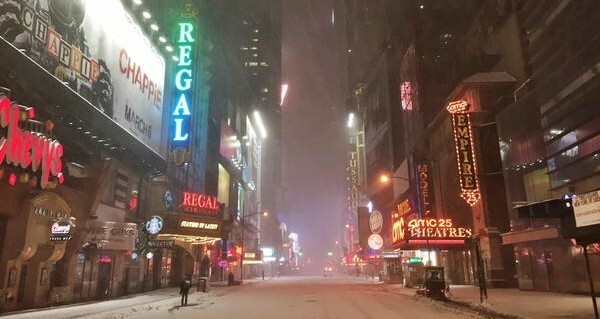 A blizzard with the potential to set all-time snowfall records bore down on the East Coast into the early hours of Tuesday, although the extreme forecasts appeared to have been scaled back somewhat. Snow is falling rapidly around the state as the brunt of the blizzard moves in, bringing as much as 25 inches of snow to the state by Wednesday morning. The heaviest snowfall is expected through mid-morning Tuesday. Flurries will slowly taper off afterward and wind down by the evening. Winds will pick up overnight and will reach up to 40 mph statewide. Temperatures will drop into the teens, and wind chills could dip down to about 0 degrees Tuesday night. Most of the state will receive 15-25 inches of snow, but some areas could see up to 30 inches. The northwest corner of the state will receive significantly less, with 10-15 inches of accumulation. A coastal flood watch has also been issued for southern Middlesex and New London counties from late Monday night until 7 a.m. Tuesday. Coastal flood watches are also in effect for Fairfield and New Haven counties from 3 a.m. to 7 a.m. on Tuesday. A statewide travel ban took effect at 9 p.m. Monday and the governor declared a state emergency ahead of the storm.